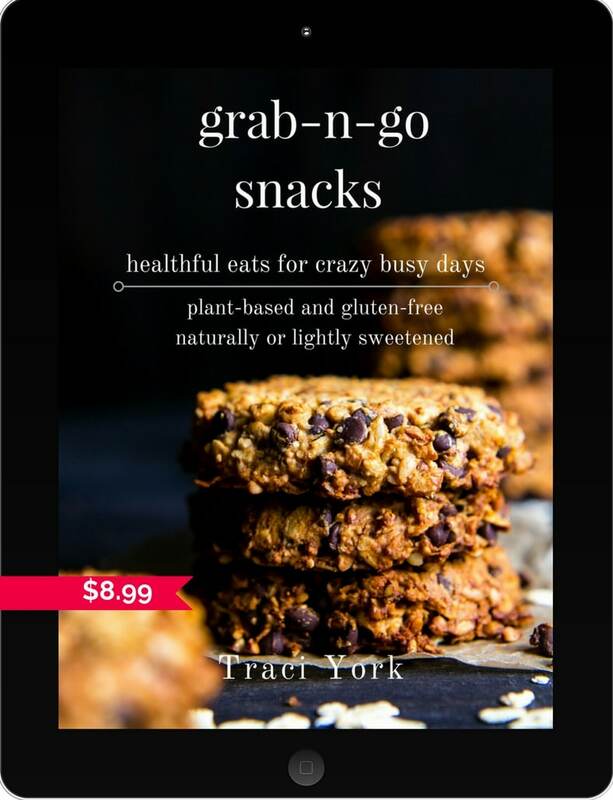 Send me Grab-n-Go Snacks, an eBook, that'll be delivered to my email in PDF! Around 3:00, it happens; tummy rumbles! Or on a trip, I'm haaangry. For years I turned to vending machines or grabbed not-so-good-for-me snacks, like chips or crackers. I knew there was a healthier way to snack. I decided to start making my own, where I had control of the ingredients and could fill them with delicious whole and superfood ingredients. 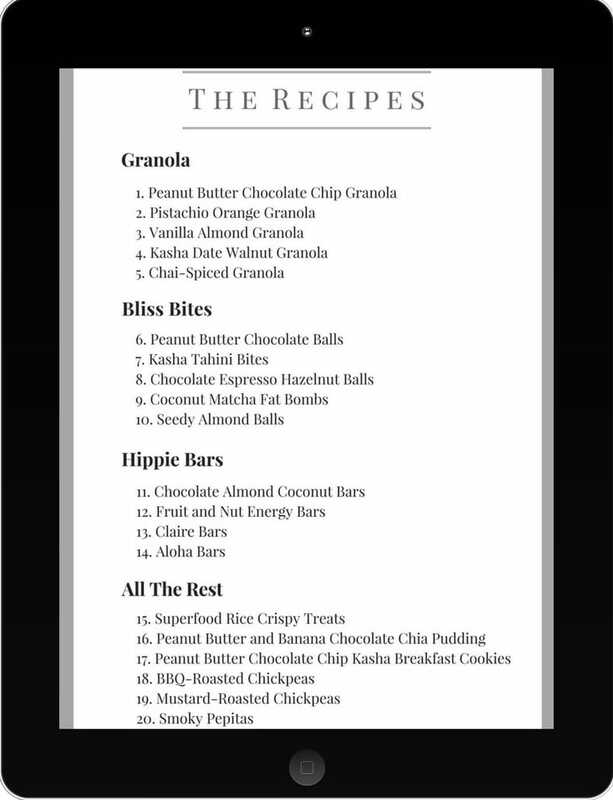 Because I know you'll love these recipes too, I created Grab-n-Go Snacks. This ebook is filled with 20 new recipes that are easy to make, packed with superfoods that are plant-based, free of dairy and eggs, are gluten-free, mostly refined sugar-free, a few lightly sweetened. Here's What You'll be Whippin' Up! 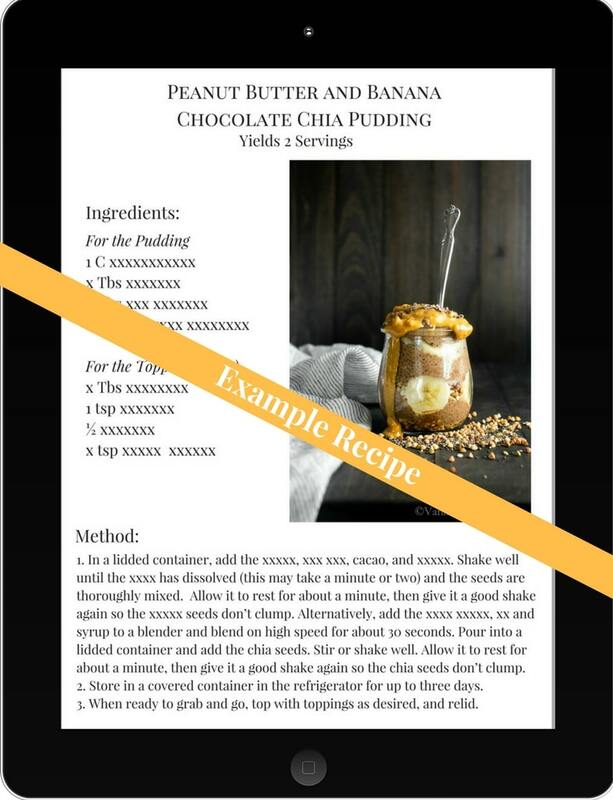 A Convenient ebook, filled with 20 crave-worthy recipes, viewable in PDF on mobile devices, tablet, laptop, and desktop and may be printed for personal use. 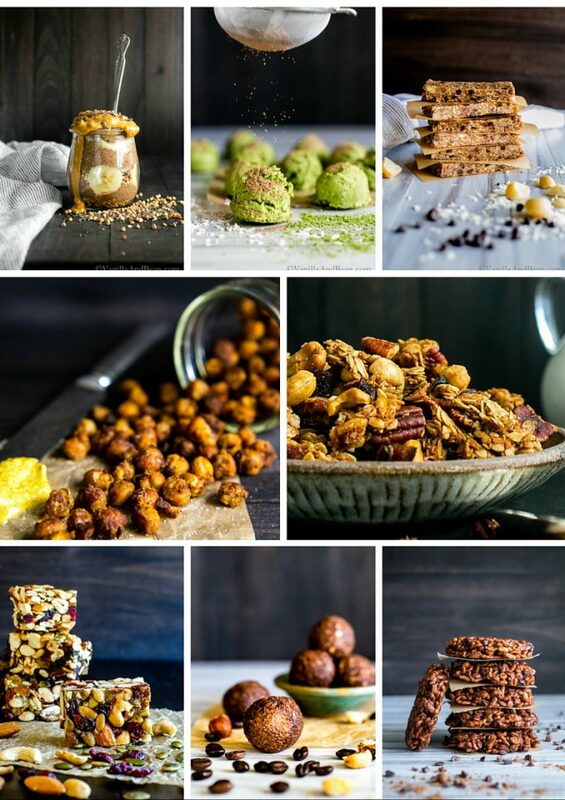 Plant-, whole-foods-based recipes, packed with ingredients you'll feel good about eating, such as nuts, dates, coconut, oats, chocolate, raw cacao, chia seeds, peanut and almond butter, almond flour, hemp seeds, spices, and coconut oil. Mostly naturally sweetened or lightly sweetened. Sweet and a few savory snacks. Bake and no-bake, easy to follow recipes. Yes Please! Send Grab-n-Go Snacks: healthful eats for crazy busy days ASAP! Guarantee: I know you'll love this eBook! But if you're not completely satisfied with your purchase, simply request a refund within seven days of purchase! This is an eBook, meaning it will be delivered, digitally to the email address you provide upon checkout. The ebook is viewable in PDF format on desktop, laptop, tablet and/or smartphone.